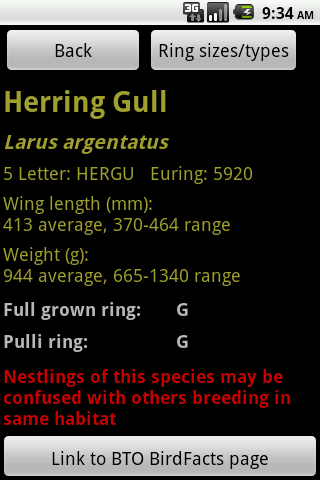 BTO Bird Ringing - 'Demog Blog': BTO Ringing App goes live! BTO Ringing App goes live! 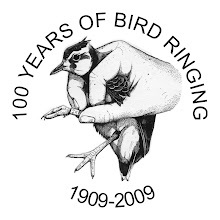 If you are a ringer, have you ever been out nest recording or ringing and found yourself with a brood of chicks or an adult bird that you don't normally ring? 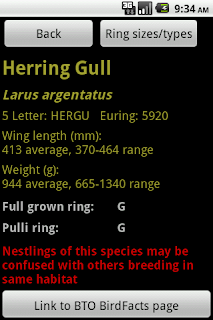 The question is then swiftly followed by "What ring size does this bird take again?" as you start hunting for your ringers manual. 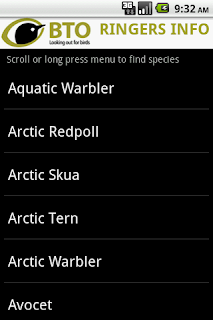 BTO information systems have developed an application for android phones that gives you a list of birds with their corresponding ring size! 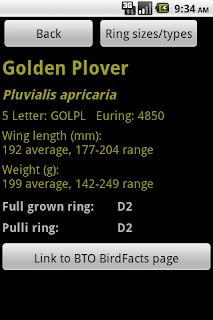 You can now be out in the field and have all this information to hand. This app is free and can be downloaded from the App Market on your phone (only if your phone has access to the App market and is v1.6 or higher with a touch screen, iphones not included). are you going to do a blackberry version? When's the iphone version being released? There probably isn't going to be a Blackberry version in the near future but if we can find funding, an iphone app could be possible. 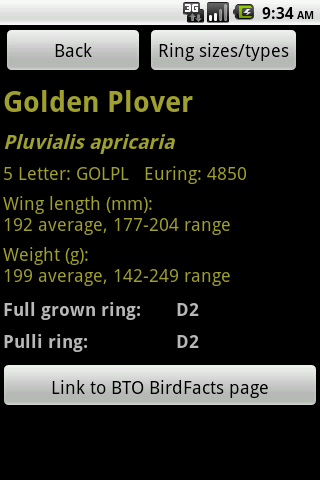 Talking of Apps I think it would be really good if the BTO were to do a version which encompasses your Birdfacts on your website. You have all the info just a case of finding somebody to do the code. possibly with better photographs than at present.